We use this stuff on our shower curtain bars, door hinges and any place that spiders want to spin their webs. But the best use recently was getting a metal cocktail shaker unstuck. A couple squirts ... wait for it ... and it easily slid apart. Simply amazing stuff. 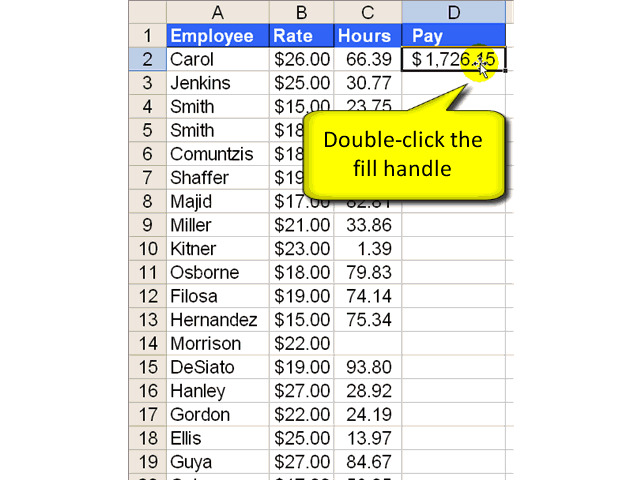 I work in Excel analyzing data ... a lot. Copying and pasting a formula into thousands or ten of thousands of rows has been a slow, thorn-in-the-backside, operation for years. Then today I run across this "fill handle", which reduces my efforts to a single double-click. I don't know if I want to jump for joy at all the hours I'll save or weep a bucket of tears for all time I've already wasted. With my power strip laying on the floor, the cleaning folks would, occasionally and accidentally, turn off the power to my home office equipment. 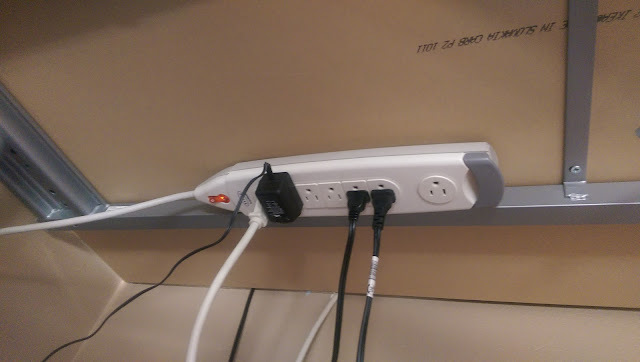 The simple solution was to mount the power strip under the desk using some Velcro. It also makes hides much of the cable mess. This old dog learned an old trick today. 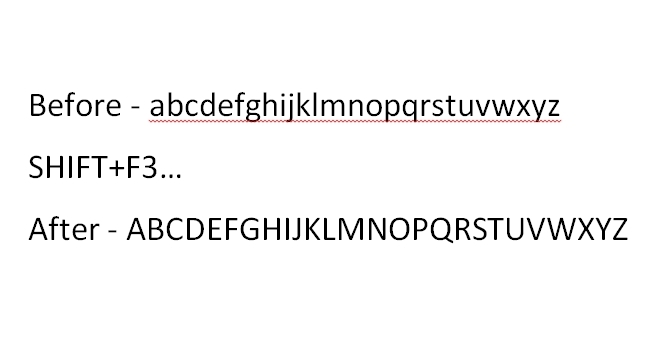 I needed a quick way to take some mixed case text and make it all uppercase. Fortunately this old dog knows how to Google, and Google knows about everything.